But the mascara. It detracted from or emphasised this makeup look. I'm not sure which. But now L'Oreal have released a new double ended mascara, catchily named False Lash Superstar. And it's everything I remembered from back in the day and more. Thankfully I've grown out of the frosty blue look. So this two step mascara promises volume and length and claims to give the false lash effect. I think most mascaras have that claim nowadays, but I had a good feeling about this one. Step 1 is the lash primer and this combs through the lashes, depositing the product onto the lashes, giving you icicle lashes. 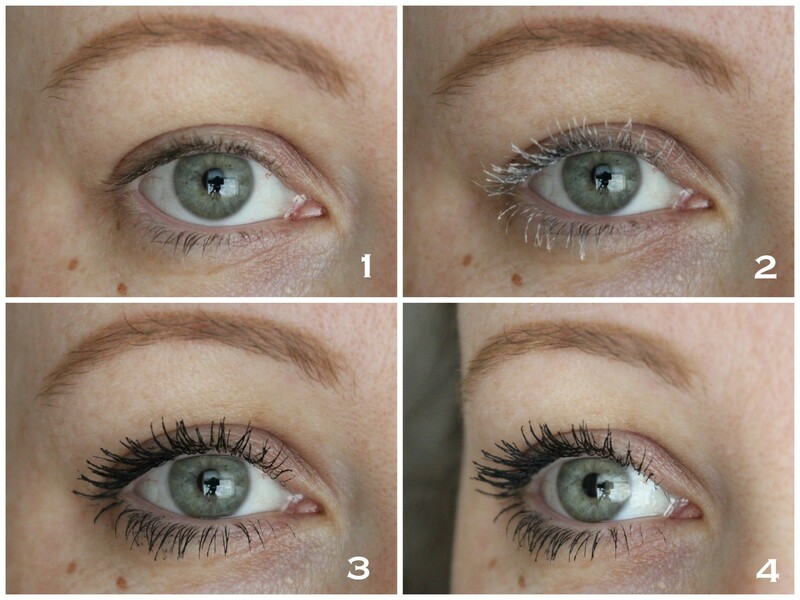 The primer effectively thickens the appearance of each lash and I find it's best to apply this and then apply step 2, the lengthening mascara, over the top before the primer has a chance to set. So do both steps on one eye and then the other eye and you'll be gold. 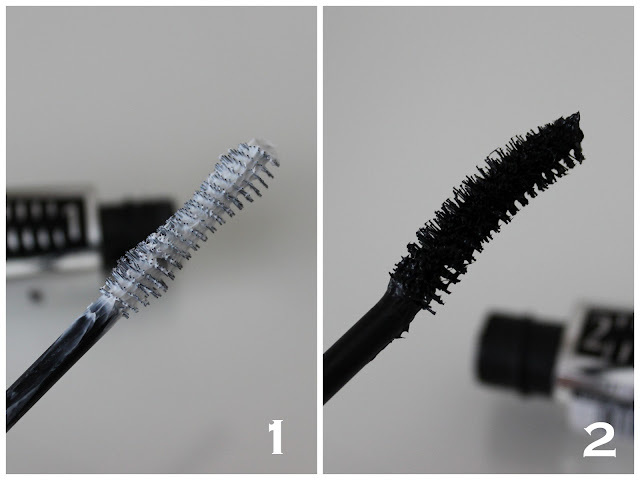 The curved brush on the mascara end helps to fan out the lashes beautifully, separating them and adding lots of length. If you're a fan of full wispy lashes then you're going to love this one. 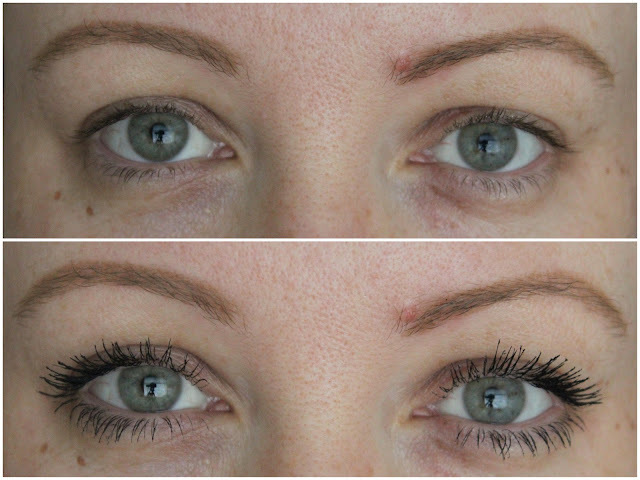 It's great at keeping my lashes curled for the day and definitely gives me a much needed wide eyed look every day. I only need one coat of the black mascara for day time use and if I'm going out, I apply a light second coat while the first coat is still wet to give even more drama. I've never been one for the natural look when lashes are involved. The mascara is on stands now and is €17.99. A bit spendy for a drug store mascara but you know Boots, they're always doing special offers. Definitely one to check out! I love these kind of posts. Thanks for sharing the photos of the before and after. The forumla looks a little thick for me. But it has worked wonders for you. à la Sharon at Behind Green Eyes Nineties look :-) Would love to read that! I've never tried a two step mascara like this one before. I've had bad luck with L'Oreal mascaras though, lots and lots of flaking. How does this one fare?